Kate’s pregnant again! But wait, why do we care? 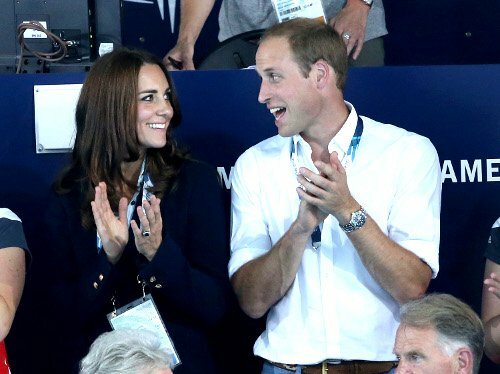 The world is abuzz with the news that Kate is pregnant … again! Besides the fact that most women are already jealous of her post-pregnancy blowout, why do we care? * Anger — Why am I being subjected to this when there’s a whole list of more important things I still need to do or think about? * Denial — I’m just not going to do it this time. I’m not! I won’t get sucked in and click on that headline that looks so inviting. Instead, I’ll read this piece about Zuma’s spy tapes. * Bargaining — OK! If I do get to reading it, I’ll do so in a desultory fashion that reflects my ambivalence about the monarchy generally and the fetishisation of Prince George and his parents in particular. * Depression — I read it. Enjoyed it. Rang a friend up to have a chat about it. * Acceptance — I’m still not a royalist but I think the world could do with some good news right now. Why shouldn’t it come from the royal family? Isn’t that what British taxpayers pay them copious amounts of money each year to provide? It’s a foetus frenzy that is unlikely to abate for the next few months. It may be antiquated, but let’s face it, what is the top priority of a royal wife? It’s the swift production of the “heir and the spare”. While it may sound quaint, that’s a necessity to secure the future of the monarchy. So of course it’s good news and of course one feels sorry for Kate, having to spill the beans within the first 12 weeks of her pregnancy. It’s also legitimately eye-rolling, the egg-timer precision of the second baby in relation to the first. Then again, if the royal family — whose only job is to be the royal family — can’t nail a perfect 10 on the space between siblings, they might just need to go back to finishing school. Let’s also spare a thought for Prince Harry. The new baby will bump him down another spot in succession order, from fourth to fifth. However, I can’t help but wonder if it comes as an extra relief for a care-free Harry, or merely adds to the oddness of his indeterminate status. I just hope the unborn baby grows up to be as fun as him, or rather, the other “spare”. And while we’re still expanding an empathetic range, poor North West’s (Kim Kardashian’s baby) days as the new hot kid on the block are officially numbered. But let’s not cavil. Once you’ve stopped rolling your eyes, put the hater-ade down and worked all the negative emotions out of your system, rejoice! Honestly. At this point in world history, we should be grateful for small jollies wherever we can find them. So here’s to hearing much of how women with hyperemesis gravidarum (HG) are prone to giving birth to daughters and are more likely to have multiple births. Speaking of multiple births, does Kourtney Kardashian also have HG? Sefiso Hlongwane is an intuitive, tongue-in-cheek and inquisitive writer, merely combining a life-long interest, passion and extensive experience to squeeze himself into media spaces. While the objective is to remain in a creative, energetic and discerning environment, Sefiso wants to get skin deep into an atmosphere that is conducive to exploring, researching, reporting and articulating news and thought pieces (that will not only shape his passions but give perspective on worldly issues) in the best possible way utilising acquired creative writing skills.